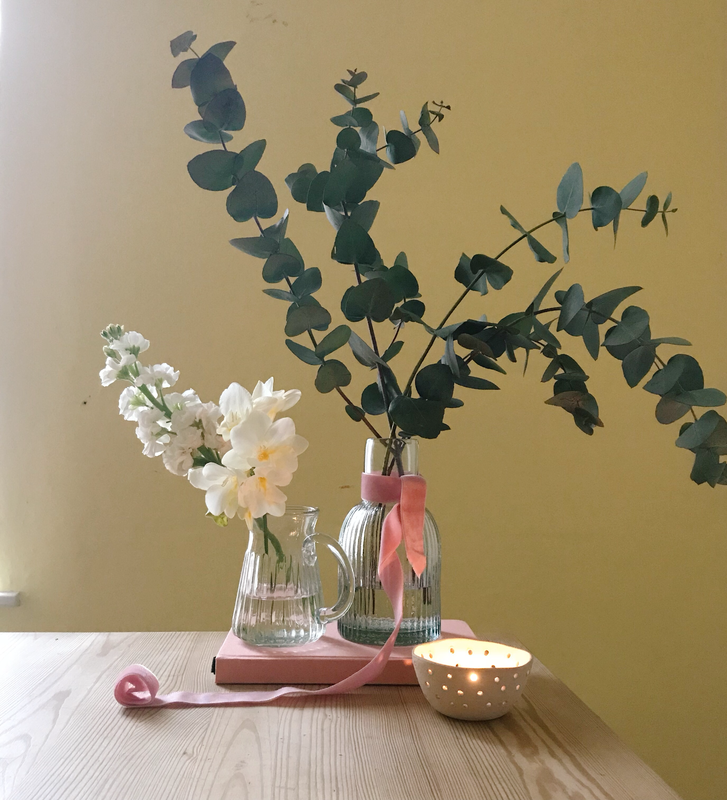 Home interiors writer, blogger and floral admirer, Sophie Warren-Smith has spent the past 18 years writing about all things interiors for an abundance of well known titles and brands. 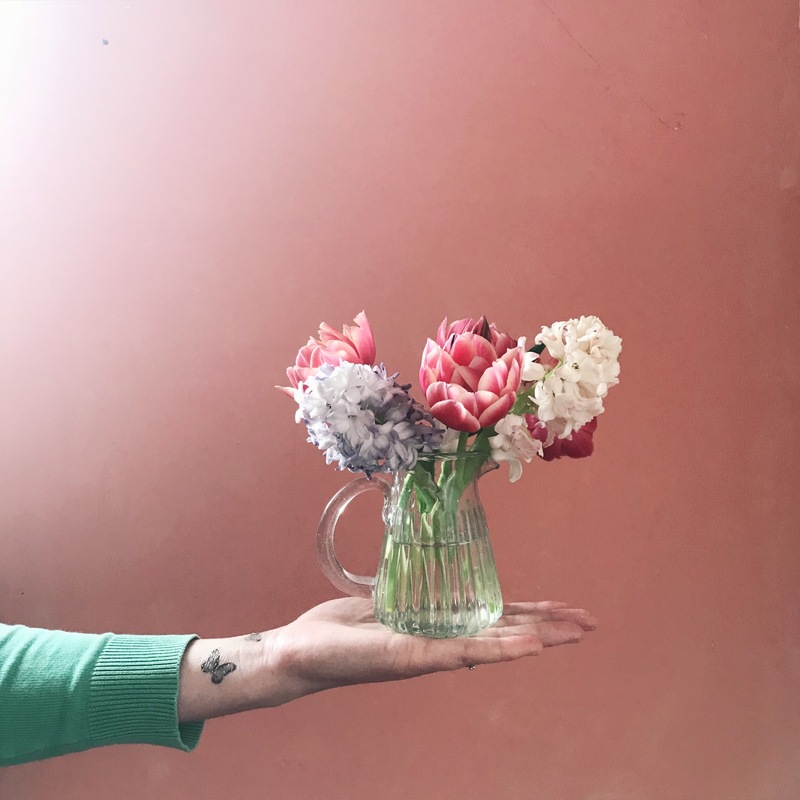 As a successful interiors stylist and journalist, Sophie created her blog Dahlia as an outlet to share her unique, colourful interiors style and her unswerving love of flowers. 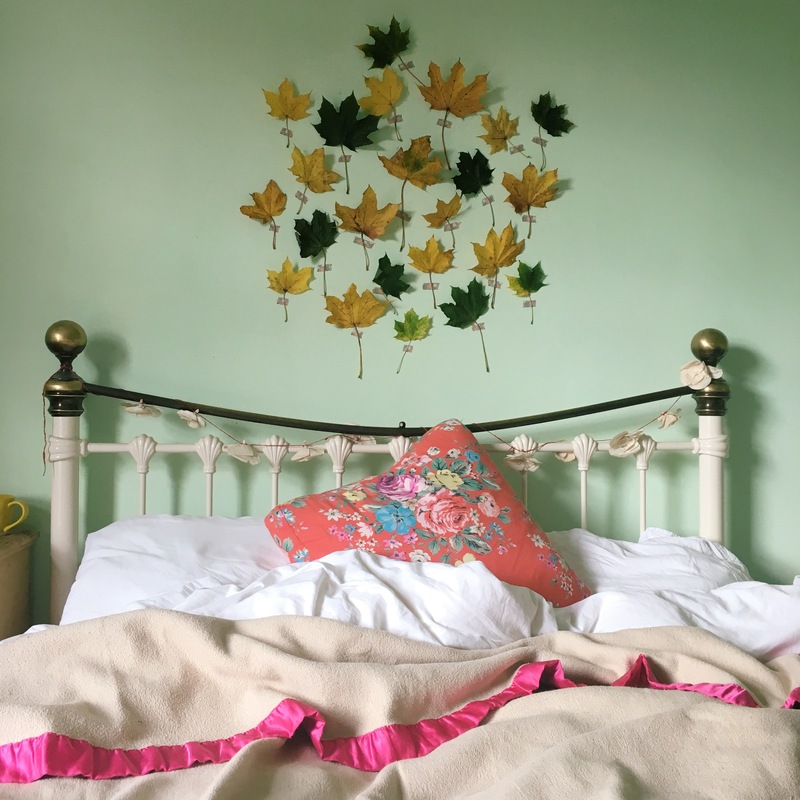 Having lusted over her eye catching and charming interiors style for years, we couldn’t wait to find out the story behind Sophie’s staple colourful interiors look, and of course her love of shutters! 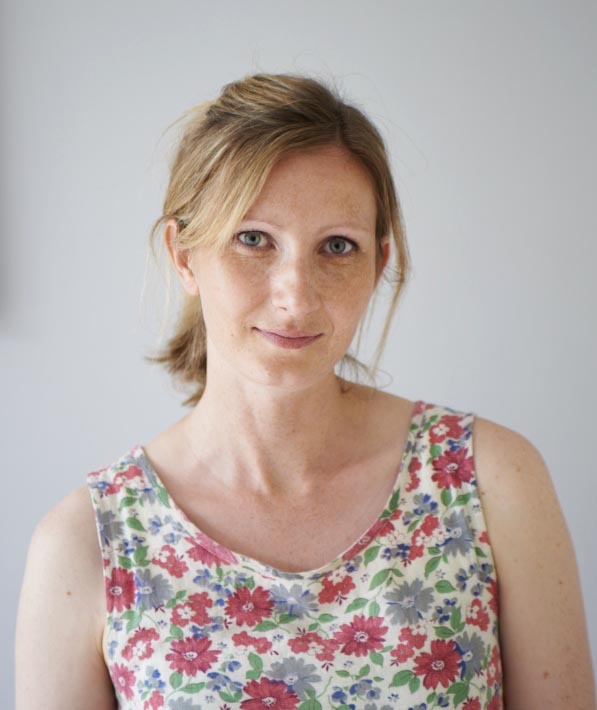 I’m Sophie, an interiors journalist, stylist, online course teacher and news editor of 91 Magazine. I’m married to Matt and I have one son, Harry, a cheeky beagle called Pip and two canaries, Fudge and Toffee. We’re currently renting a lovely Victorian end terrace in West Yorkshire but hope to buy in the next two years. I was working for a card company when one of my old art college tutors said to me that she thought I’d make a good stylist, I thought for all of 2 seconds and was, ‘Oh yes, I fancy that!’ and she gave me a phone number of a friend of hers who needed an assistant. That’s how I started basically and 18 years later I’m still here. My first magazine job was covering a maternity leave at Woman & Home, I since went on to cover another there and I have also worked in-house at Ideal Home and BBC GoodHomes. After moving out of London in 2005 I carried on freelancing and now I regularly write for Period Living, Real Homes, Style at Home, KBB and I’m also the News Editor of 91 Magazine. 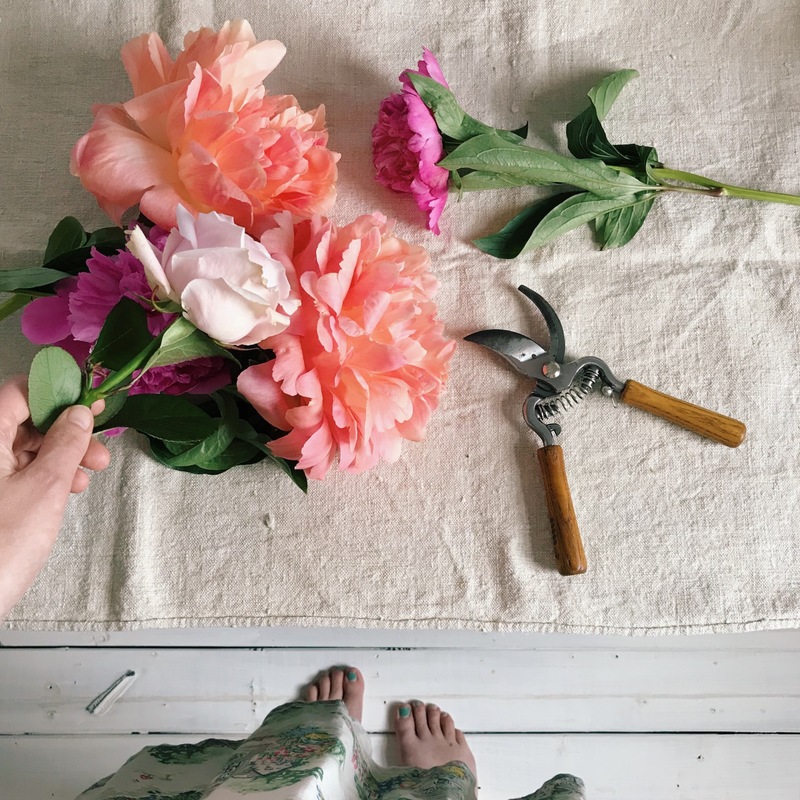 This year I have launched my first online styling course, Style with Blooms, that runs twice a year and I have a blog, Dahlia, which is about to undergo a mini-revamp! How would you describe your own personal interior style? My own personal interior style is very similar to my IG feed! Although it may not appear that way I do actually like to keep things simple. I love the Scandi way of styling, it’s so effortless and beautiful. 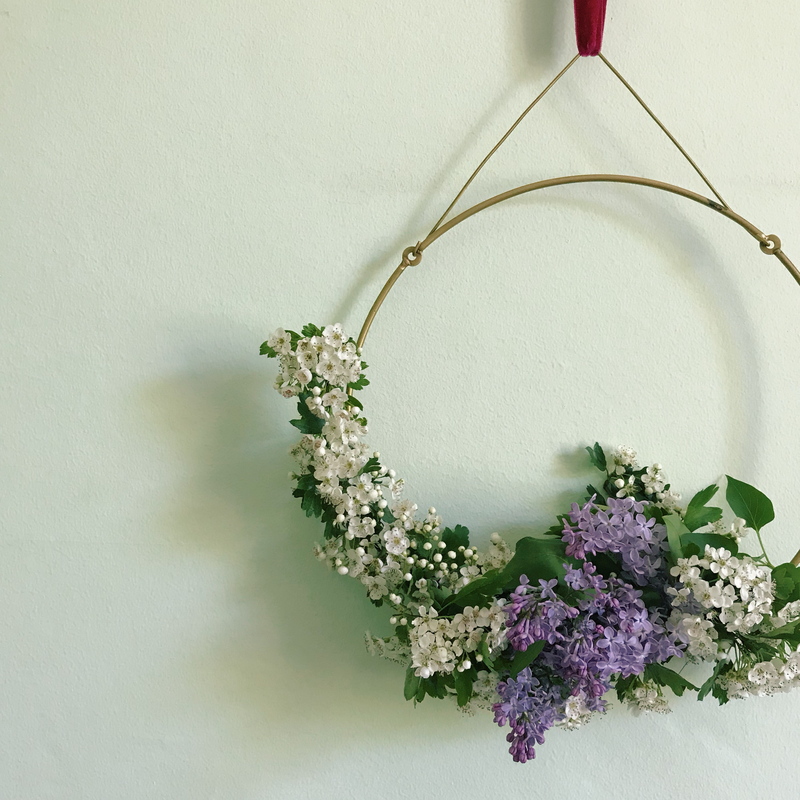 I don’t buy anything that doesn’t have a use – this is something my husband may disagree on – but when I buy interior bits it will have an end use in my head be it as a prop for my IG feed or something we actually need! Colour makes me happy, I own one black dress that comes out once every few years but everything else is cheery. I spent many happy years at art college and I have a degree in printed textiles, I do believe that this is where I developed my sense of colour and love of pattern. But I actually do have quite a lot of white walls in the house too, for example, my pink wall that’s very popular on my Instagram feed is on one wall in my work room, the rest are white. I either use white or pale pink bedding too, for me, colour comes from accessories like throws and cushions, and of course, flowers. They immediately add colour and interest to wherever they are placed. I love the minimalist look of all white but there’s no way I could live like that for long – I’d be sneaking in a vintage floral cushion or a huge bunch of flowers! What are your top tips for someone looking to brighten up a tired space with colour? With autumn on the horizon it’s a great opportunity to cosy up your home with some new bits and bobs and the easiest way to add colour is with accessories. If your sofa is plain then add some cushions, there are lots of fabulous prints about at the moment – big blousy florals and pastel coloured geometrics are big trends. Pop a new print or two on the wall, a rug and a new lamp and you’ll be amazed at the difference it will make. It’s been proven that colour can affect our mood. Do you take this into account when trying to achieve a specific look? Not really is the simple answer – on a personal level. However, if I was asked to style a real home for a magazine and we were shooting it in winter but it was for a spring issue then I would add lots of pretty spring-like coloured accessories in fresh greens, pastel shades of pink, yellow, lilac and flowers to give it that seasonal touch – both of these aspects would ‘lift’ the mood of the house and therefore I would be using colour to affect the mood of the shoot. Interior trends are continually changing these days. In your opinion, what colours stand the test of time in the home? I’ve recently written an Autumn/Winter 18/19 trends feature for House Beautiful, so I did a bit of research for it and there’s one colour that’s been around for quite a few years now and I’m pretty confident that it will be around in the future too – and that’s PINK! Yes, it’s here to stay folks! Add some navy to that and a splash of grey (that’s also showing no signs of disappearing) and you’ll be bang on trend. Of course, there’s always the standard never-go-away-colours like black and gold too – use these for accessories this season rather than on walls. How would you suggest incorporating bold pattern and texture into the home? If you’re not used to either of the above then introduce them in small amounts – so some pretty patterned cushions on the bed, or a textured throw on the sofa. Like I say above, I always have plain white bedlinen, but I have two floral cushions from Cath Kidston and throw from Orla Kiely. I like to pattern clash but the plain bedding acts as a blank canvas and therefore balances the whole look. You are quite the expert when it comes to sourcing beautiful flowers and flower arranging – what advice would give to a novice wanting to add floral touches around the home? Start small, a simple bunch of flowers like tulips or roses will make all the difference to kitchen table. Make sure you give them clean water, remove the leaves so they don’t go in the water, cut the stems off at an angle and keep them in proportion to the vase – measure them against it – you want them to look balanced and not too tall or short. If you don’t have many vases look around your house for other ideas, I like to use glasses and jam jars, both are ideal for creating a sweet little posy that you can pop on your bedside table. 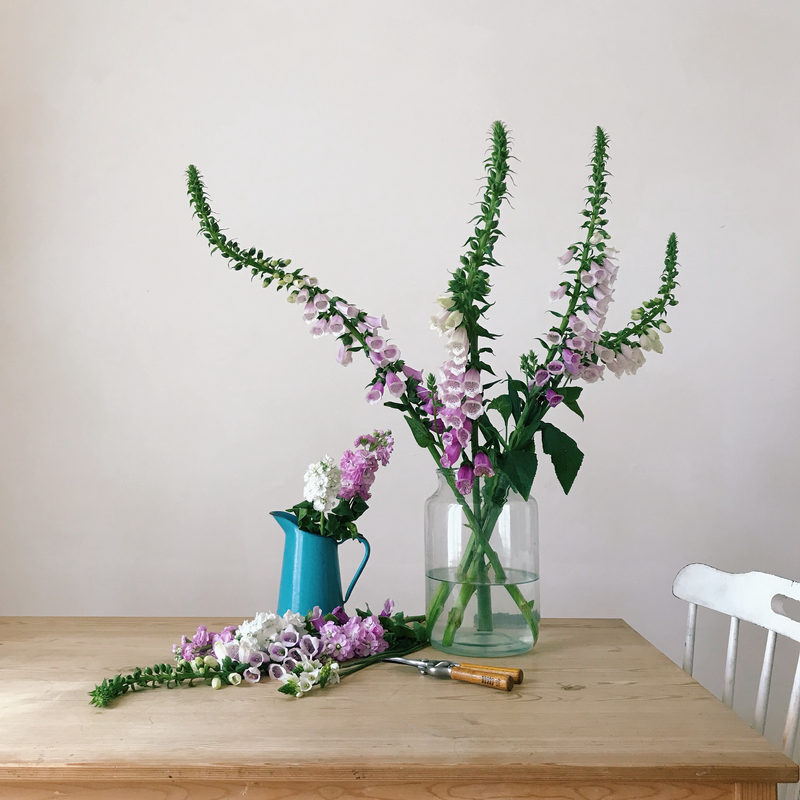 My new online course, Style with Blooms, completely covers this question – it’s a four-week course full of information on sourcing flowers, how to condition them, display and style them. It’s open for enrolment again in September.